Like all good LA tourists, we had to do the Hollywood sign hike. My friends and I were only in LA for a weekend, but this was one of our must-do activities. We really enjoyed the hike and finding the best way to see the sign was difficult to figure out, so I'm hoping this quick guide will help some people out. We parked our car at 3115 Canyon Lake Drive. There's a lot of parking available here, and by parking here, you won't be disturbing the residents of the area. You will need to walk from this spot to the trailhead. Fortunately, there are some great photo ops of the Hollywood sign. 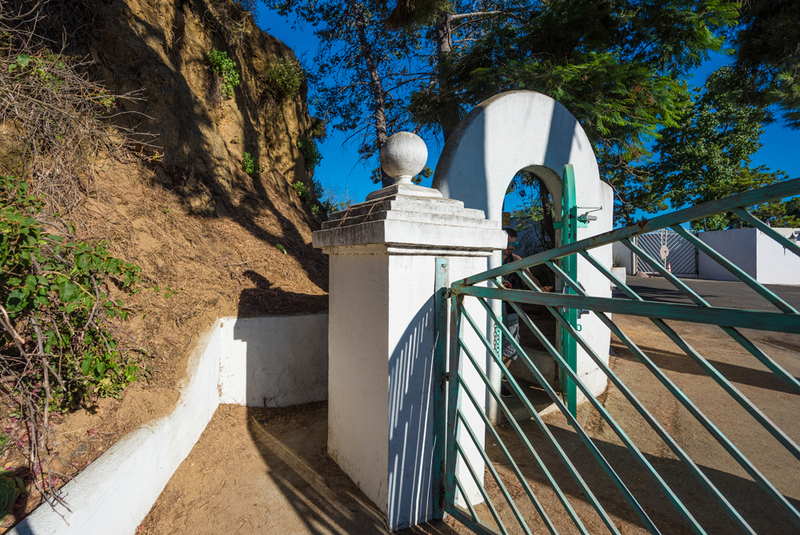 Start walking along Mulholland Hwy towards the Hollywood Sign. It will take you to the start of the trail. Don't stop until you reach a gate. Walk behind the gate and that's the start of the hike! It takes about 10-15 min to get here from the parking lot! Next, simply follow the road up! It's paved the whole way up! I's great if you are inexperienced hikers or want to bring your dog along! The views are incredible. You can see all of LA on your way up. The beautiful views definitely help distract you from the elevation of the hike. it is pretty steep in some parts. But, we did see people running to the top! It's really not too bad. Once you get to the top, that's where the fun begins! It's definitely worth the 2 mile trek to the top. Climb up the little hill by the communivcation tower for some grand photo opportunities. After you get your photos, the hike down begins. Since it's all paved, it's a quick and easy descent back to the car! Total time is about 2 hours, so it's a great way to start the day. Bring water! The trail has almost 0 shade and no water fountains available. Keep hydrated kiddos! Wear sneakers. Even though it's paved, it is still a lot of walking to do. Wear sunscreen. Actually, wear a LOT of sunscreen. You're exposed to the sun the whole time. even though we put some on, we still got burnt. Take your camera. The hike isn't long, but there's a lot of great views! 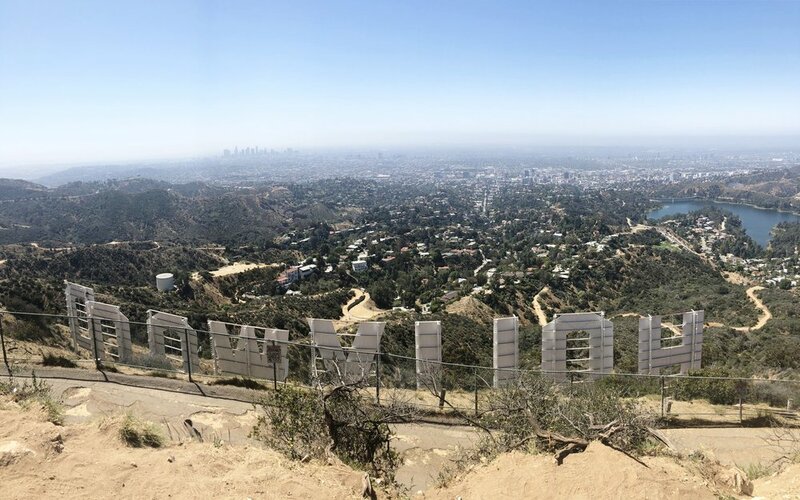 You can't get to the very front of the Hollywood sign, so if you want pictures of the front of the sign, you'll have to do it towards the bottom of the hike. Hope this helps and have a wonderful hike up to the Hollywood Sign!